Apply COELAN Boat Coating evenly in several coats for best results (around 5-6 coatings for horizontal surfaces, and 8-10 coats for vertical surfaces using COELAN Thinner). Usage is about 1000 ml / sq. m. - 34 fl.oz / 10.5 sq.ft for a finished surface. Apply each coat evenly and generously with overlaps using a clean, well prepared brush or foam roller that must be resistant to solvents. For vertical surfaces, COELAN Boat Coating should be thinned with COELAN Thinner (about 10% to 30%) before being applied depending on atmospheric humidity. The number of individual coats should then be increased correspondingly (approx. 8-10 coats). Drying time for each coat is between 2 and 6 hours, depending on weather and relative humidity. A full working cure is normally achieved after 7 days. To improve bonding of old and new layers, the surface should be sanded after a drying time of more than one week between different coats. Important: Specified product usage rates must be maintained. 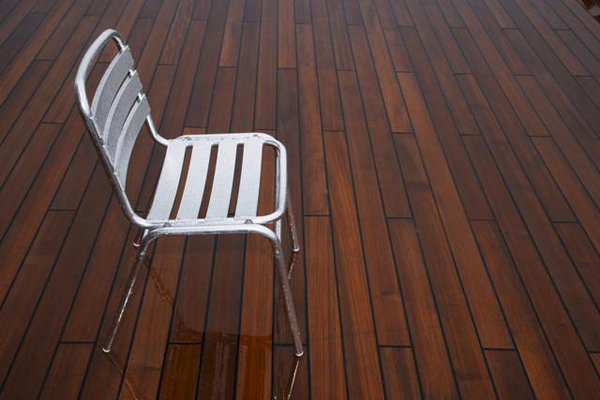 Good results can be achieved by using the spray coating method. Please refer to the special paper "Spray Application of COELAN" for further details concerning spray applications of COELAN Boat Coating. To achieve the different colors according to the standard color scheme for individual colors please use the COELAN color paste. Add the complete contents of the color paste tube to the can containing transparent COELAN Boat Coating. Mix the color paste thoroughly until it is free of bubbles and streaks to create a homogeneous mixture using a slow-turning motor driven or hand-held paddle. When the material has been adequately mixed, it is important to apply it immediately. COELAN Boat Coating should be applied evenly in several layers, normally 5-6 coatings For horizontal surfaces, the various coats can be applied evenly and generously with clean, well prepared brushes or rollers. 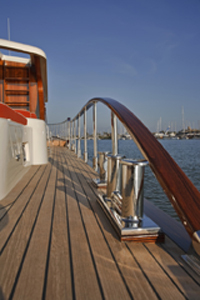 For vertical surfaces, COELAN Boat Coating should be thinned with COELAN Thinner before being applied in 8-10 coatings. All colors can be mixed together to achieve custom colors. One tube of color paste per 375 ml – 12.7 fl.oz COELAN Boat Coating (2 tubes per 750 m – 25.4 fl.oz; 8 tubes for 3 Liter).